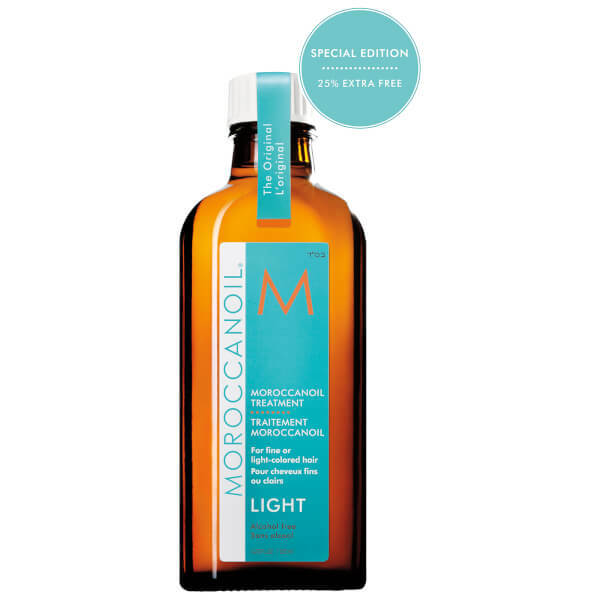 Buy 125ml of the miraculous Moroccanoil Treatment Light for the price of 100ml! For luxurious shine and a silky-smooth finish, just a pearl-sized amount of the award winning Moroccanoil Treatment Light will help condition, treat and style winter hair. Suitable for all hair types, the Moroccanoil Treatment is a innovative conditioning, styling and finishing tool which instantly absorbs into the hair to help nourish, detangle and improve manageability. Mix a few drops of Moroccanoil Treatment Light with Moroccanoil Intense Hydrating Mask, Hydrating Mask Light or Restorative Hair Mask for added nourishment.